Medicare is a medical insurance offered by the U.S. federal government to U.S. citizens that have reached the age of 65 or older. Medicare is also available to some disabled individuals under the age of 65. These individuals have disabilities that qualify them for this coverage. Once you are receiving Social Security benefits or Railroad Retirement Board (RRB) benefits, you will receive a Medicare card three months before you turn 65. If you are disabled and under 65, you will qualify for Medicare 24 months after you start receiving Social Security benefits. If you have amyotrophic lateral sclerosis (ALS, or Lou Gehrig’s disease), you will qualify for Medicare Part A the month your disability benefits begin. Those that have end-stage renal disease (ESRD) also qualify. This is regardless of their age, and the qualification is immediate. Medicare is a federal medical insurance that is composed of four parts: Part A, Part B, Part C and Part D. Most individuals don’t have to pay a monthly premium for Part A, because they paid while working toward this coverage. Those that qualify for Part A usually also qualify for Part B. You can decide whether you want to accept the Part B coverage. That is because there is a monthly premium for Medicare Part B.
Medicare Part A is also known as hospital insurance because it is the part that covers inpatient hospital stays. Medicare coverage will pay for semiprivate rooms, general nursing care, meals, medications while in the hospital and all other services and care during an inpatient hospital visit. Things that are not covered under Medicare Part A include private duty nursing, a private room that is not medically necessary, a telephone and television that warrant extra expenses and personal grooming items. There are several factors that determine whether Medicare Part A deems your inpatient hospital visit to be eligible. First, a medical doctor makes an official medical order that states that your illness or injury requires inpatient medical care. The care you need can only be received in a hospital. The hospital must accept Medicare insurance. And, the hospital’s utilization review committee (URC) determines that your stay is approved. URCs are structured to reduce unnecessary hospital admissions and control inpatient length of stays. 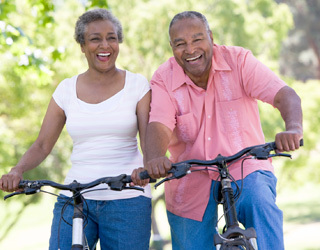 In order for Medicare Part A to cover an SNF, the following things must happen. First, you must have Part A. And, you must have days left in your benefit period. There must have been an inpatient hospital stay that was approved by a physician. Your physician must specify that you must have SNF care. Your SNF eligibility can be impacted if there is a break in your SNF care. You may need to leave the SNF facility for 30 days or more. If you do, you may need to have a three-day qualifying inpatient stay to qualify for Medicare Part A to cover SNF again. If there is a break in SNF care for 60 consecutive days, your current benefit period ends and a new period begins. Medicare Part A also covers services in a long-term care hospital (LTCH). These facilities specialize in treating patients with more than one serious medical condition. This condition must require time and care before you can return home. If you must go to a LTCH, you will not pay a higher deductible. The deductible for an acute care facility and a long-term care facility are the same. In addition, you will only have to pay one deductible per benefit period. If the following conditions are met, you will not have to pay a second deductible for an LTCH stay. 1.) An acute hospital transfers you directly to the LTCH. 2.) You are admitted to the LTCH within 60 days of being discharged from an acute hospital. However, you may be admitted to an LTCH after 60 days. If so, you pay the same deductible and coinsurance that you would have paid if admitted to an acute care hospital. Medicare Part A is critical coverage for those who are 65 years or older or those under 65 with a disabling condition. This coverage pays for most of your inpatient hospital needs, with the exception of a deductible and coinsurance. Utilizing your Medicare Part A insurance will substantially reduce your medical bills after you are qualified to receive Social Security or RRB benefits.